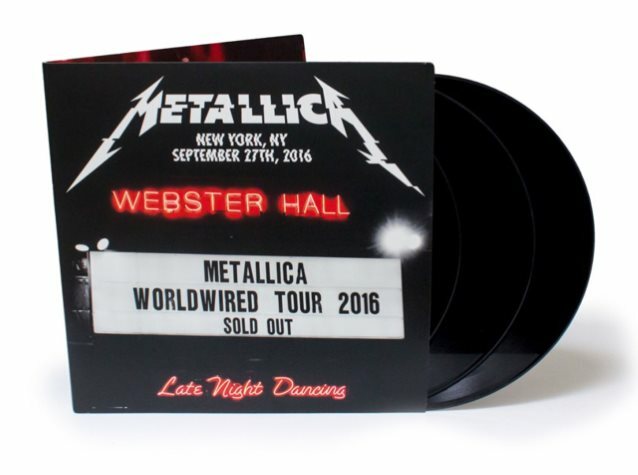 Metallica are releasing their sold-out Fifth Members-only show at New York’s Webster Hall last fall on vinyl this week. The set list includes the first ever live performance of “Moth Into Flame”, alongside a mix of classic tracks from the band’s catalogue. The 3LP set will be available exclusively online at Metallica.com as well as in the group’s pop-up stores in select tour cities this summer. A full track list is available below. The band’s latest album debuted at No. 1 on the US Billboard 200 last November with opening week sales of 291,000 equivalent album units, of which 282,000 were in traditional album sales. Metallica will resume their WorldWired tour in support of the project at M&T Bank Stadium in Baltimore, MD on May 10.